Agnes Houston, who was diagnosed with Alzheimer’s disease over nine years ago expected issues to occur with her memory but not the challenges to her senses that she experienced. When speaking to others with dementia, she soon realised that she was not alone with many others experiencing changes to the senses that no one had prepared them for or discussed with them how to live a positive life with the changes. As a result, Agnes instigated the writing of Dementia & Sensory Challenges – Dementia is more than memory. This resource provides a snapshot of the lived experiences of a number of people living with dementia and tips that may help others. 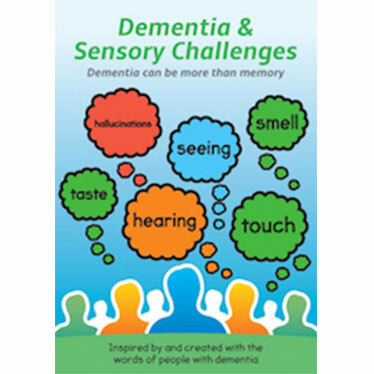 The booklet is written for people living with dementia, their families and carers to raise the awareness of sensory changes which may occur and are not widely documented or commonly known.